Once the month strikes April, nothing means more to me than it being finally summer. People going on trips, all of the students being on their summer break and that being said, I am really happy to be on my break right now and I’ve got so many things planned out! I want to go to the beach, spend time with my family and even have a little shopping time. With all that going on, I think I would need the perfect bag to tag along with me and fortunately just last week, I got this cute pink jelly bag from SM Department store. Was I right to bring it with me? Verdict: Very much so! This is me after shopping already and as you can see, I don’t have plastic or even paper bags with me. 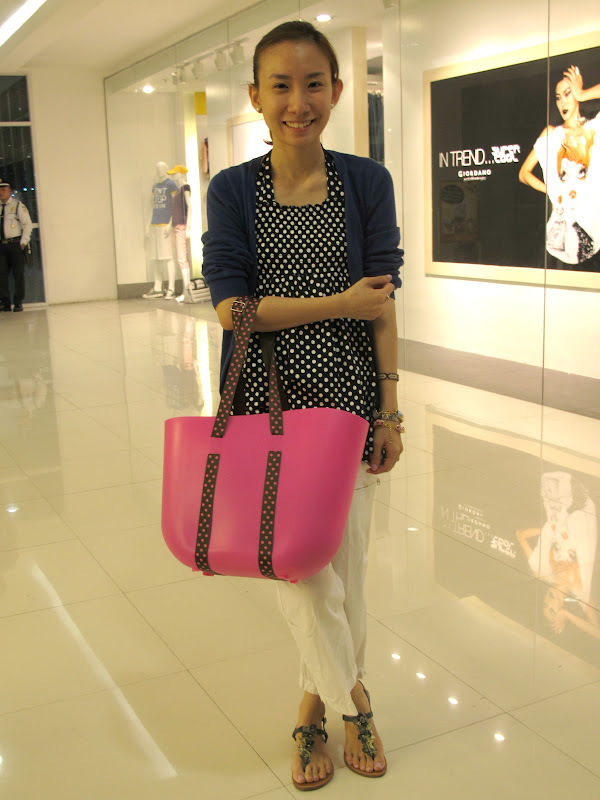 The bag is actually spacious enough to carry my stuff ( wallet, cell phone, camera, kikay kit etc.) 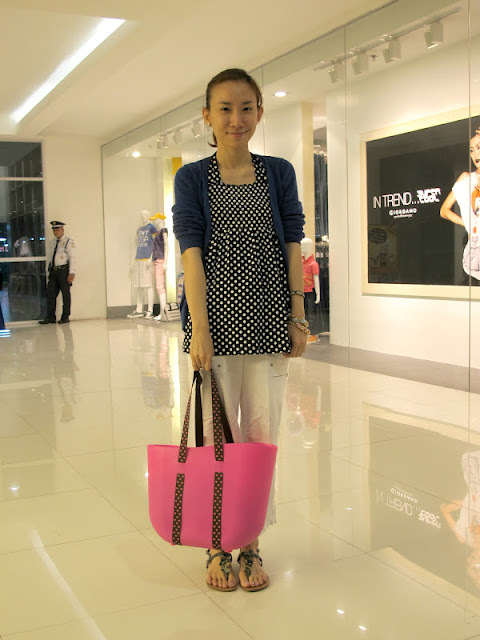 and even have space for the clothes I shopped for that day! Amazingly convenient and not to mention, it’s earth-friendly because I can eliminate plastic/paper bags when I shop and just put them in my SM jelly bag! These are some of the things that i’ll be bringing along with us and having a baby means packing for him too and luckily, his stuff also fits in my bag! Cheers! The thing that makes me not worry about using the jelly bag as a beach bag is that, I wouldn’t have to get worried about it getting dirty or wet, because the outer part is obviously waterproof and it being jelly, makes it easy to clean when sand gets stuck to it. :) Have a worry-free summer! Lastly, like I mentioned above in my shopping part, it’s perfect to eliminate plastic, so I thought, why not also use it when I go to the grocery, right? I guess you can say, I really have a lot of use for this bag and I’m sure you guys will too! 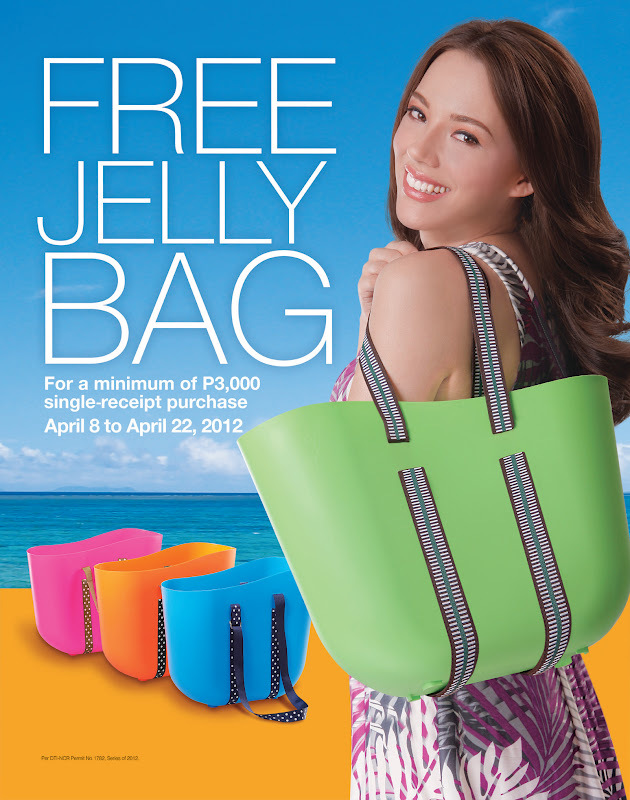 Starting April 8, 2012, you too can get your own SM Jelly Bag! Now how to get these lovely Jelly Bags? As seen in the poster above, for a minimum of Php 3,000 single-receipt purchase from April 8 to 22, you get a FREE JELLY BAG in your favorite color! So, what are you waiting for? 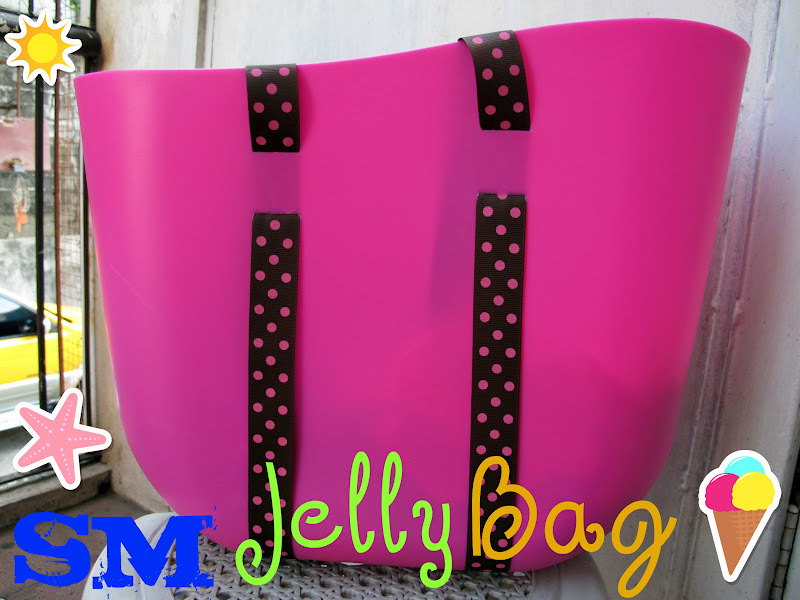 Go get your Jelly Bags now and take outfit photos with it during your travels! That sure looks pink and fashionable enough. :D It can help us save mother earth by reducing plastic use. You always look so fresh and polished!